Glancing at my Fitbit I quickly realised that we had walked 38000 steps and were on target to match the 44000 from the day before, our legs were starting to tire but our minds were still fully set to explore mode. Budapest is very much a city to let your feet take the lead, from crossing the Chain bridge that adjoins Buda to Pest then climbing Castle hill to take in a bird’s eye view of the horizon with Parliament building at the centre. 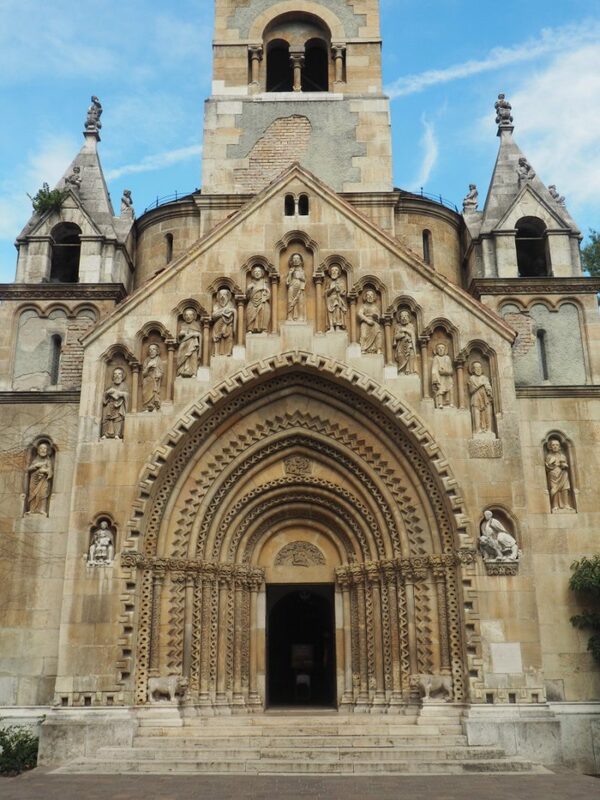 Of course, there are other means of finding your way around during your 3 days in Budapest, for those less able or for those who do not enjoy marathon walks on a weekend break, but whichever way you choose to explore, be sure to observe your surroundings, this Eastern European city is full little surprises. As always a trusty Marco Polo guide was within easy reach in my backpack, with various pages covered in black Biro scrawls from a few days prior, pointing out places of interest and highlighting food recommendations. 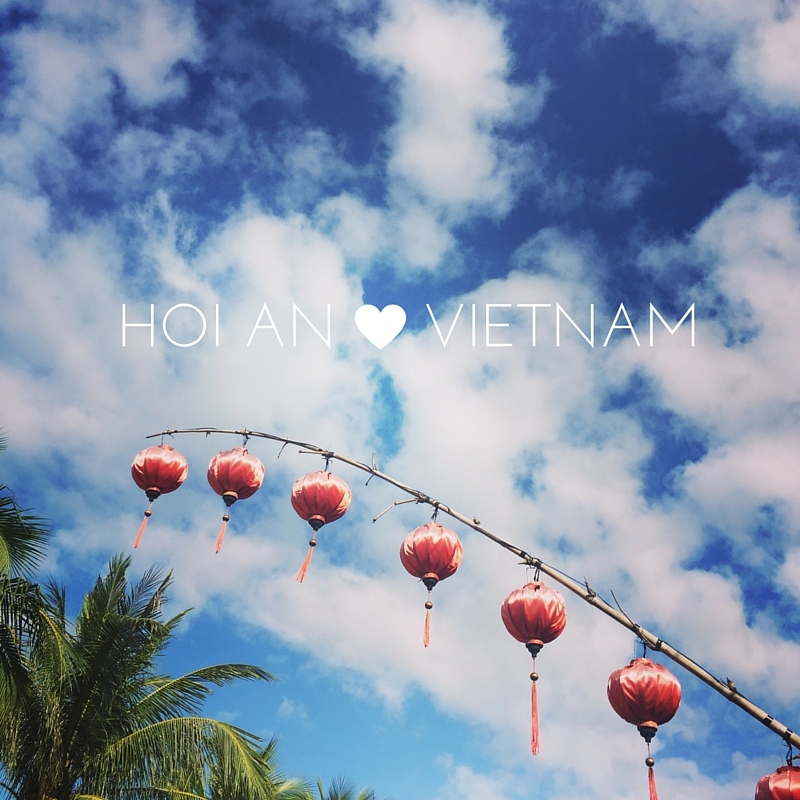 More recently, our travels have been much more like this, less structured and more go with the flow, less strict itinerary and more head to one point of interest then explore the surrounding area. For a city break of only 72 hours, some may see this as foolish, but for us, especially in Hungary, it worked, despite our tired feet telling a different story. 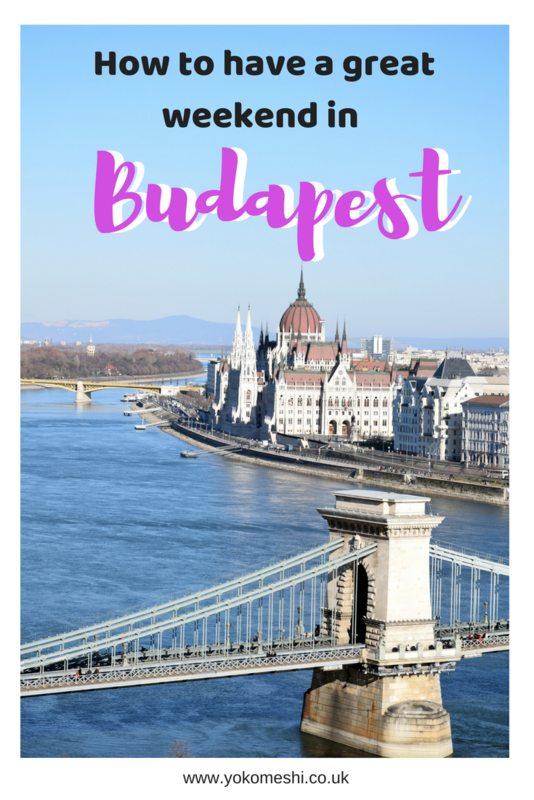 Here’s our three day Budapest itinerary. When researching where to stay in Budapest it is important to take location into consideration as it is a big city. I recommend staying in the Pest area of the city, in the evenings there was always something going on and most importantly it was located close to many of the main sight-seeing points. We stayed in the Easy Hotel for our three nights in Budapest, however, I would not actually recommend staying here. Budapest is known for its thermal baths, so much so it has been nicknamed the ‘City of Spas‘ (it has also been dubbed the Paris of the East, FYI), each year over a million bathers flock to the spas for medicinal and tourist reasons. 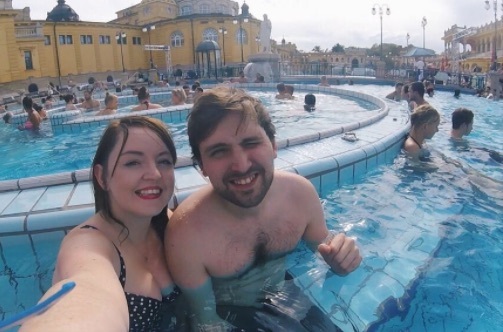 We visited in the biggest and most famous, The Szechenyi Thermal Bath, located in the city park, although busy, an experience of bathing in waters of up to 33 degrees while admiring the yellow building that shields the bathers is one to have during your trip. 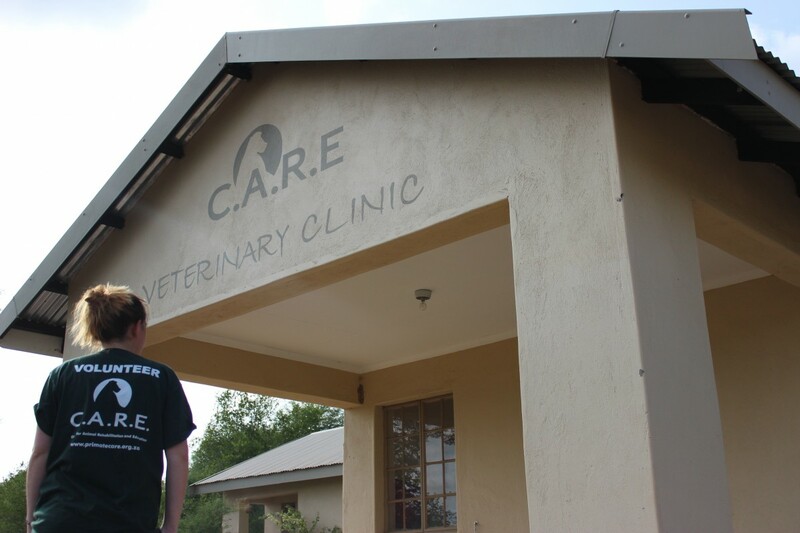 It also has marvellous healing benefits for achy muscles, meaning you will be feeling refreshed to continue your marathon walk afterwards. This can be found near the Szechenyi Thermal Bath and again is set inside the city park. This fairytale-like castle instantly reminded me of the one that belonged to the Beast in Beauty and the Beast, on a warm day it is best admired sitting on the bank of the moat while snacking on Kurtos Kalacs. Funiculars are just pleasant, I do not really know why but I enjoy them greatly, Budapest’s funicular runs every 10 minutes on Buda Hill, located on the top of Buda Hill you will find Buda Castle, the Fisherman Bastion and the intricately stunning Matthias church. 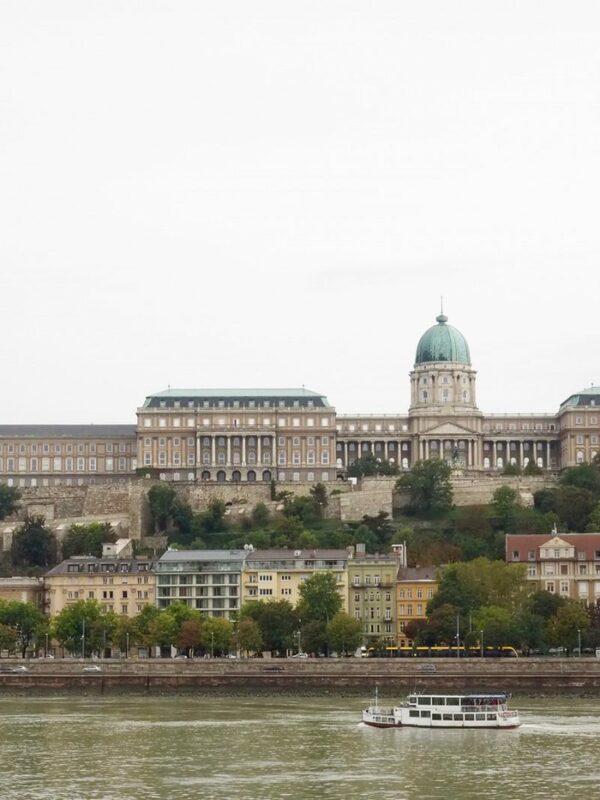 It is up here that you will also get to take in the bird’s eye view of Pest along the river Danube. At the bottom of the Funicular is the infamous Chain Bridge that connects the two parts of the city. The view from the top is just beautiful and I really recommend visiting here during your three days in Budapest. Tip: If you would like to ride the funicular, arrive early, it is pretty popular and the queues build up quickly. Without a doubt, Budapest’s most photographed building, in my opinion, it is most spectacular and photogenic at night when it is light up and takes centre stage along the River Danube. 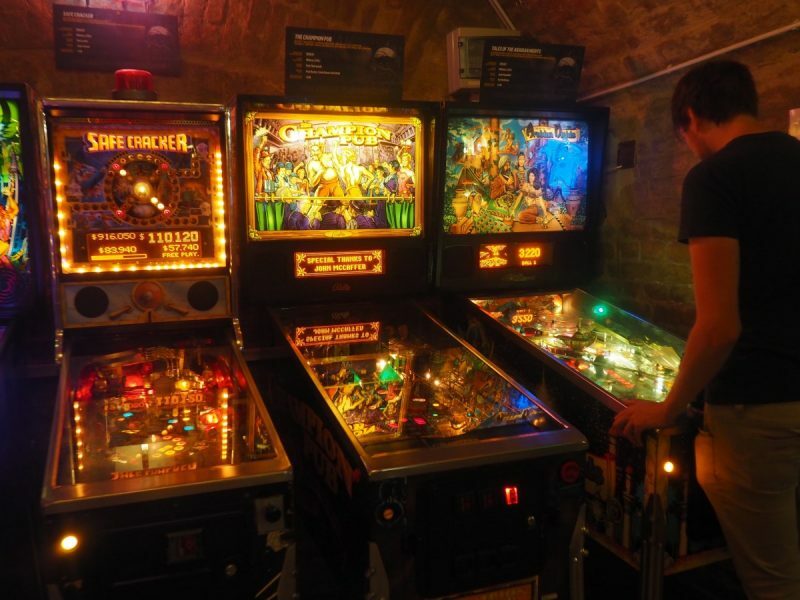 Europe’s largest interactive pinball exhibition – need I say more? This place is ace, I am actually planning a full post on here and the computer game museum because they were so great. But essentially you pay nine euros for unlimited access and free pinball in the museum all day (you receive a wristband so you can come and go as you please), they also have a small area for eating and beer, and it is just fabulous, I am so glad we found it. We made the rookie mistake of heading here when it rained, along with all the tourists in Budapest, being too impatient to queue in the rain we ended up skipping here, but it was somewhere we had planned to visit. The Terror House contains exhibits related to the fascist and communist regimes in 20th-century Hungary and is also a memorial to the victims of these regimes, including those detained, interrogated, tortured or killed in the building. A giant food hall but more for observing than eating, as the stalls are mainly fresh produce on sale for local restaurants as well as city residents, you can also buy fresh paprika and a variety of other spices to take back for home cooking. Upstairs there is also a tourist market selling the usual tourist tat of magnets and t-shirts. 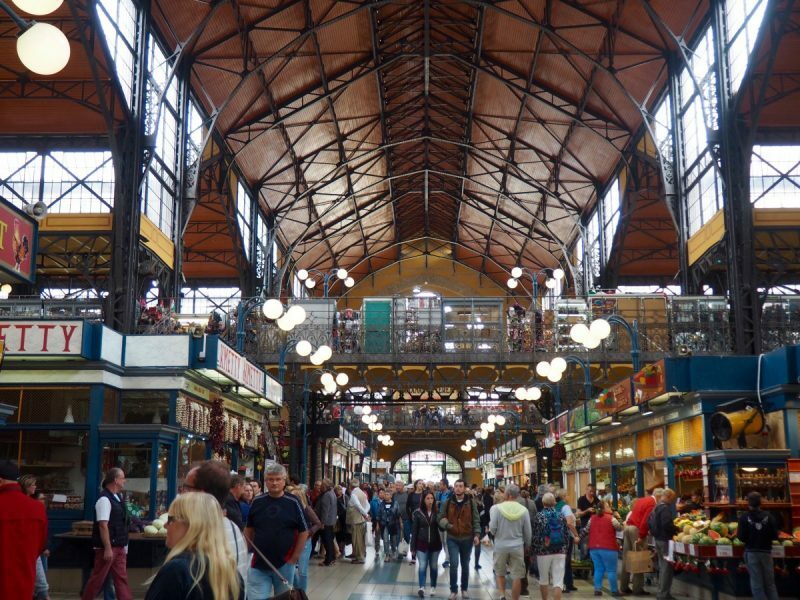 I really enjoyed looking around the central market hall, it felt local and gave off warm vibes. Firstly Hungarian food is very meat-heavy, traditional food includes Goulash soup and Paprika chicken, I didn’t find a huge variety of vegetarian food and when I did it was carb heavy. I am sure if we look harder there probably would have been more options but that was our observations from our visit. 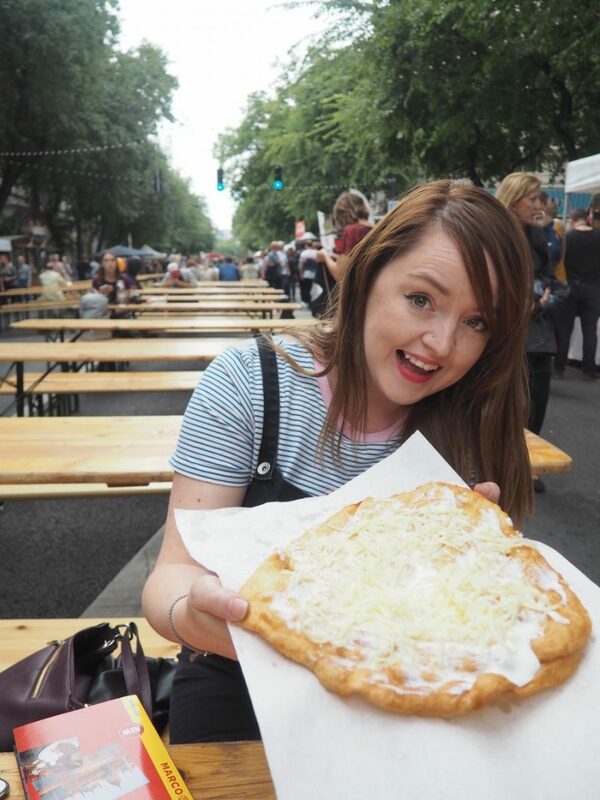 However, the food is still good, my obsession with Langos is now alive and thriving – warm dough smothered in a thick layer of sour cream finished with a generous helping of cheese. The Hungarian do bread right. You will find this traditional dish are various street food stalls throughout the city, or if you are looking for a sit-down meal, then head to Langos Papa, they also do Langos in dessert form – Nutella and banana. Meat Free? 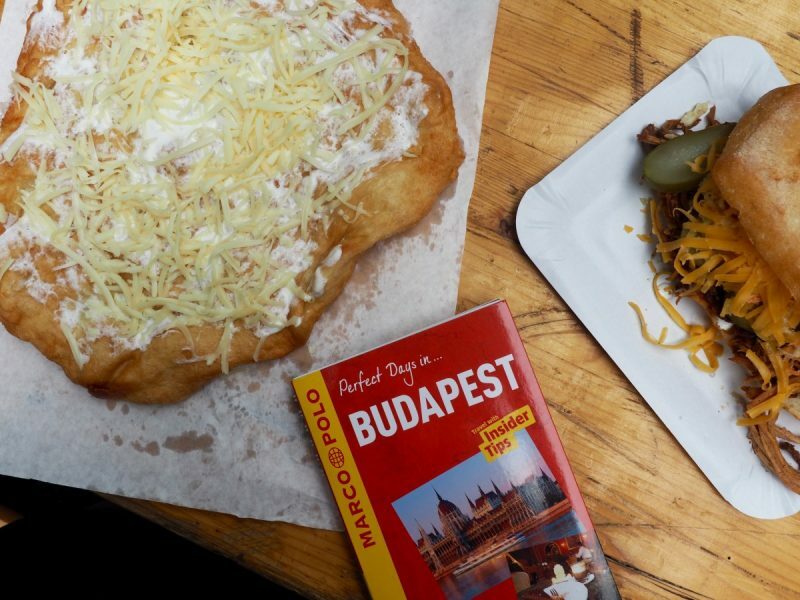 Check out my recommendations for the best Vegetarian and Vegan restaurants in Budapest. 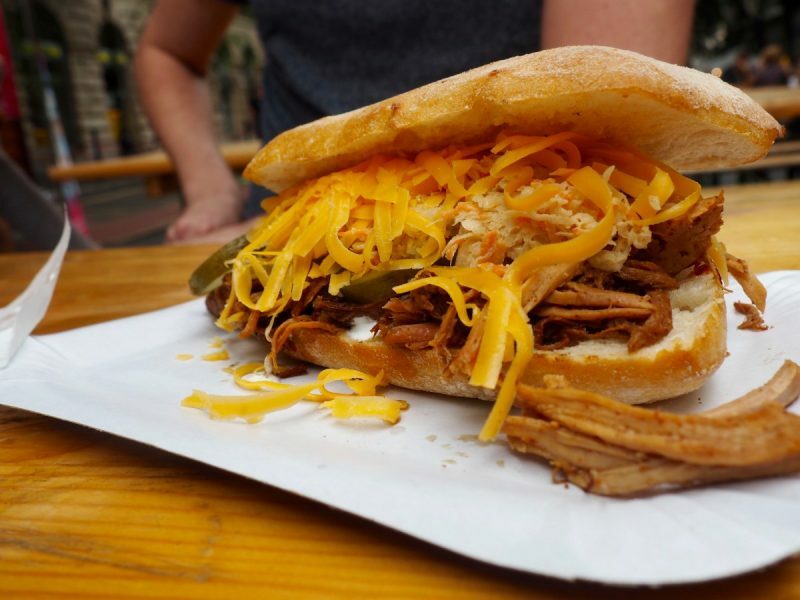 Budapest has a great street food scene, most of which can be located at Karavan in Jewish Quarter of Pest. 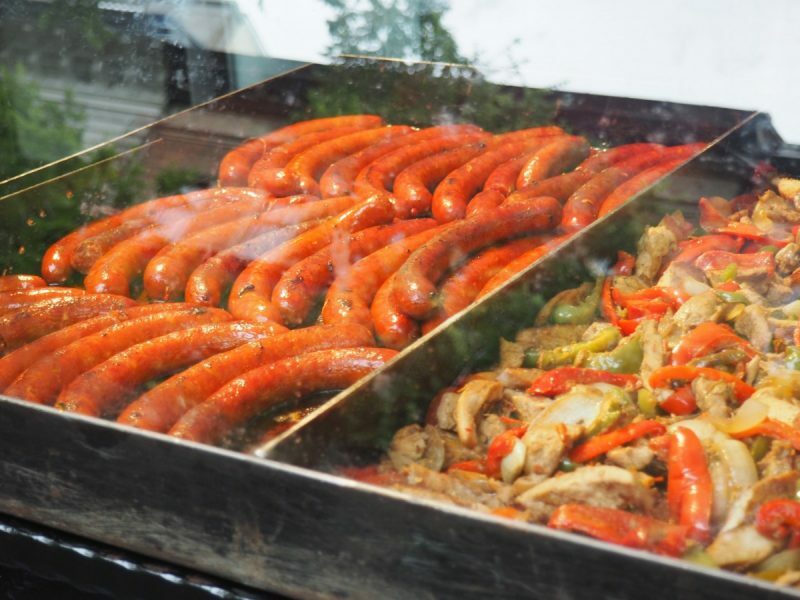 The trucks combine a good ratio of traditional Hungarian to other cuisines, and if you are anything like us you will want to try everything. If burgers and craft ale are your things then head to Bamba Marha for a casual sit-down lunch or meal. Pubs and bars are located all over the city, it appears Budapest has a great nightlife/bar scene, and although we did not make it there, we heard great things about Szimpla Kert – a ruin bar located near the Palace District. We did, however, head to Whiskers cat pub, which much to my disappointment, I would not recommend, there are minimal cats as well as customers, and not quite the lively fun establishment that the advertisements make out, which is great for the cat’s well-being at least. We had just 3 days in Budapest, but would have happily set ourselves up here for months. This absolutely beautiful and friendly city would feel like home in no time. However, if you only have a few days to spare, 3 days in Budapest is ideal. 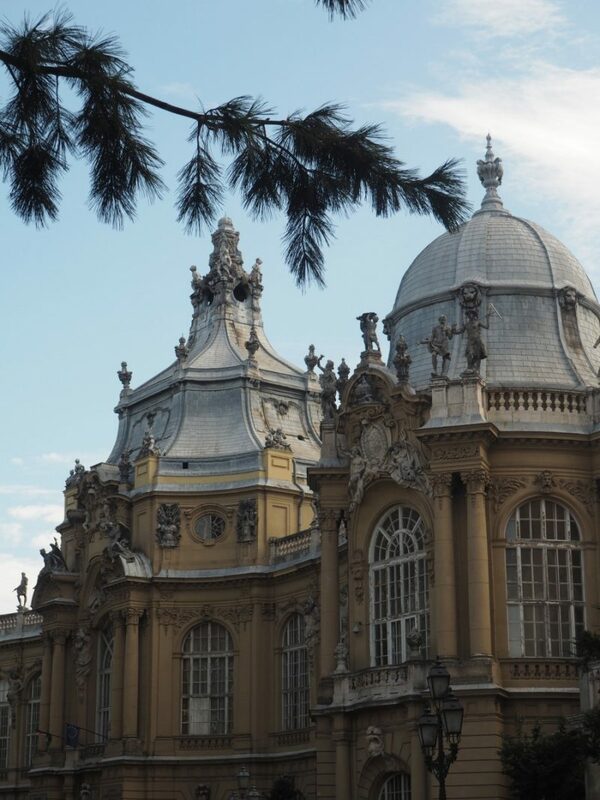 It gives you enough time to explore the city’s most exciting attractions and get a feel for Hungarian culture. With so much to see we were pressed for time, but managed to see almost everything on our itinerary. Travellers who enjoy spontaneously wandering the streets without a specific destination in mind would have felt slightly rushed, but we thoroughly enjoyed ourselves. Spring is a great time to visit Budapest, with blossoming flowers and warm days making for a delightful trip. Without the Summertime tourist crowds, you can experience a more authentic Budapest – no queues for you. Be aware that rain is a real possibility in May. With rainy almost every second day, you better be waterproof. Furthermore, Spring is festival season, with many culturally rich, open air events to keep you entertained. 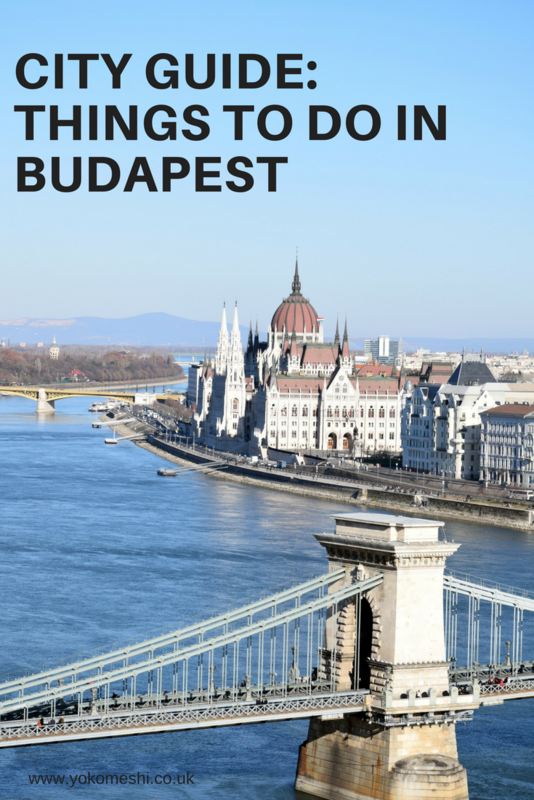 These include Budapest Beer Week and Gourmet Festival Budapest. Ultimately, as long as you don’t mind a little rain, Spring is a fantastic time to visit Budapest. 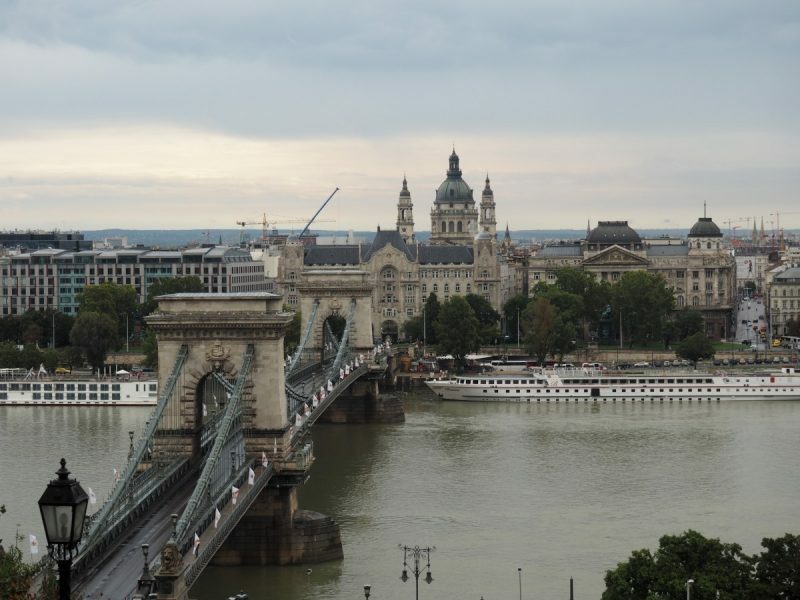 Moving into autumn, September is another quieter time to visit Budapest. Although the summer crowds have dispersed, the sun still shines, meaning comfortably warm weather. 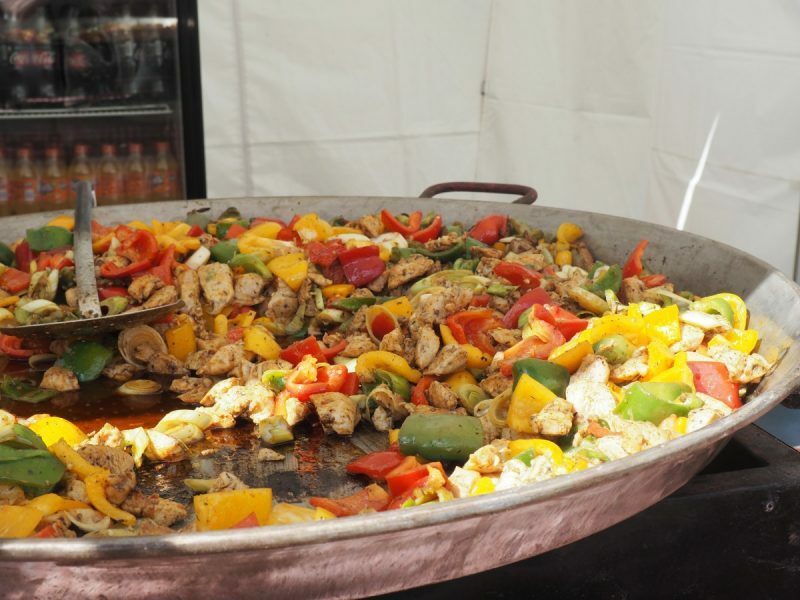 Standout events during this time include a horse racing event called the National Gallop, as well as the Sweet Days Chocolate & Candy Festival and Budapest International Wine Festival. If you want to see the city covered in a white blanket of snow, then this is the perfect time to visit. In the middle of winter, temperatures average around 1°C, making goulash soup a welcome treat. Despite the cold, this is a rather festive time of year, with Christmas, New Year and Hanukkah celebrations giving everyone a reason to celebrate. The Christmas markets are a real highlight this time of year. Like most European cities I have visited lately, I fell a little bit in lust with Budapest, maybe it is my untamed optimism for exploring new places, or maybe mainland Europe is every bit as beautiful and whimsical as it is in my head, I believe it is probably a combination of both. 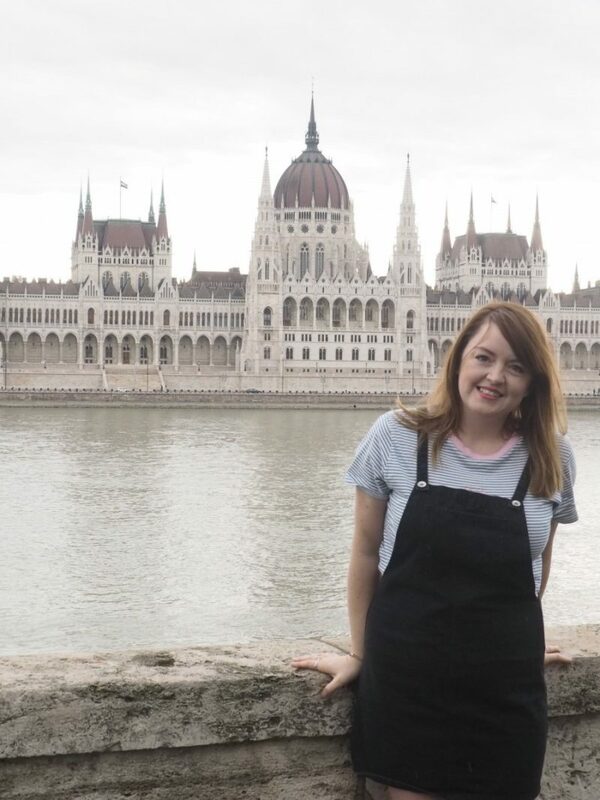 But, if like DJ and myself, you are a fan of good indulgent food, friendly faces and buildings that tell stories then a short break to Budapest is for you. This post is sponsored by Marco Polo, a brand that I support numerous times on Yoko Meshi.